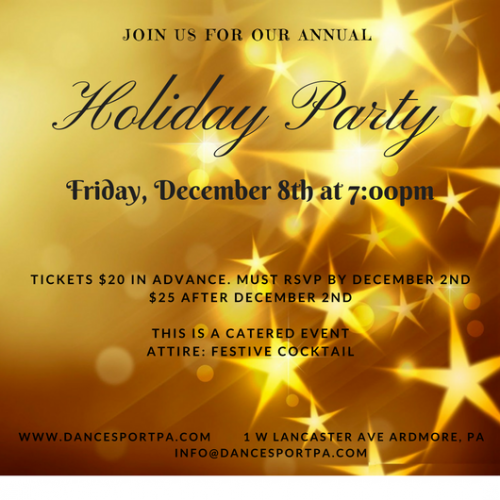 Please join us for our annual Holiday Gala! Please celebrate with us the beginning of a beautiful Holiday Season! Join us for a night of social dancing, Hors d’oeuvre, students’ performances, and a jolly good time! There will be a group class at the beginning of the event!